Whether you prefer sleek defined curls or shiny straight hair our shine products gives you that high gloss and shine you need. 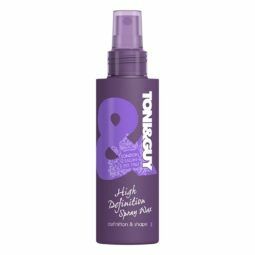 TONI&GUY High Shine Serum Drops adds intense polish to any glamorous look. It prevents frizz and fly aways for a silky feel and glossy finish.